Additionally, MIBG participated in PDAC 2014, and our assessment was that the minerals industry is definitely more upbeat this year compared to the previous year. As such we have provided commentary on the conference and specifically the sentiment surrounding TRQ at the event. Readers will know that the company's share price has appreciated from $CAD3.50 to $CAD4.54 YTD, representing a 29.7% increase on the expectation that Oyu Tolgoi LLC (of which TRQ has 66% exposure) is nearing the launch of Phase-2 development of the Oyu Tolgoi project. 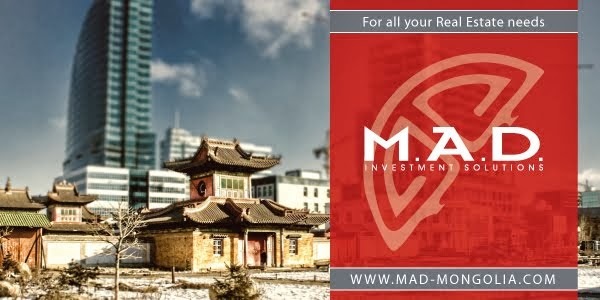 In our previous commentaries we have stressed how the board members representing the GoM will likely approve of the proposed Phase-2 restart of the project, due to an economic slowdown that Mongolia had experienced for the past 1 year and that the GoM is running out of options to finance its double digit economic growth but promote FDI into the country. As far as the Phase-2 financing approval is concerned, the main roadblock seemed to have been the feasibility study being demanded by the Government of Mongolia, however the latest unofficial information being cited in Ulaanbaatar is that the GoM is willing to be flexible on demanding of the feasibility study. Also various internet outlets are pointing to the fact that the project management firm at Oyu Tolgoi, AMEC is looking to hire additional staff which could be indicative of the Phase-2 restart proposal nearing approval. The Minister of Mining, Mr. Gankhuyag was asked by the investors in Toronto on when the GoM, Rio Tinto, and Turquoise Hill Resources will reach an agreement over the Phase-2 financing. His answer was simple and stated clearly that the GoM supports the restart of the Phase-2 of project development and that the approval process is in the hands of the Oyu Tolgoi board. Another sign of an imminent deal on OT was that the Mining Minister seemed to work "extra" hard this year to promote Mongolia at the largest mining conference in the world. The latest rumor that Rio Tinto might bid $8 per share for TRQ does make sense given that previous actions of Rio suggest that it had been looking for opportunities to increase its holding of TRQ hence Oyu Tolgoi project. The fact that Rio Tinto was willing to pick up any unexercised rights during the last rights offering which was offered at the end of 2013 is a clear sign that Rio Tinto is looking for opportunities to increase its stake in TRQ and gives further support to this latest rumor of a takeover of TRQ. At the end, every investors who entered Mongolia during the past 5 years is looking at the OT deal, which is expected to happen before March 31st and the GoM knows exactly what is at stake, and where the domestic economy is when foreign investors started to turn away in 2012. Now the Rio Tinto takeover rumor, if true, aligns every piece in the right place for another massive Mongolian bull run. March 7 (Analyst Ratings Network) Shares of Turquoise Hill Resources (NYSE:TRQ) were the recipient of some unusual options trading activity on Thursday. Stock investors bought 16,139 put options on the company, American Banking & Market News reports. This is an increase of 1,849% compared to the typical daily volume of 828 put options. 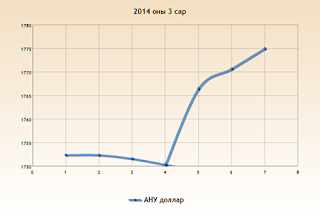 · Turquoise Hill, Rio Tinto may be close to agreement with Mongolia. · Rio Tinto reportedly ready to make an offer for the remaining shares of Turquoise Hill. · Looking for New Hires at the Mine. · Projected production for the years ahead. A couple of reports point to the possibility Turquoise Hill (TRQ) may be close to coming to an agreement with the Mongolian government over terms associated with the Oyu Tolgoi copper and gold mine. One of the reports points to Rio Tinto (RIO), which owns 50.8% of Turquoise, being close to buying up the rest of the shares it doesn't own in the company for about $8.00 a share, presumably once an agreement is reached. With the share price standing at a little over $4.00 as of this writing, that would just about double any investment made at this time if the report is accurate. Turquoise owns 66% of Oyu Tolgoi, with Mongolia owning the remaining 34%. Having said that, I believe the $8.00 per share offer may be on the low end, as the huge resource is worth far more than that. You do have to figure in that Rio Tinto already owns over half the company and that Turquoise Hill has a 66% stake in the deposit at the mine. Nonetheless, it's value is many billions, and could have a mine life of up to 40 years. There is also the strong possibility the resource at the mine hasn't been fully discovered and the quantity of minerals could be higher than believed. Rio would also have to strongly consider potential legal challenges if it attempts to buy the remainder of the company on the low side. That could be a drag on the company over time; a weight that could result in downward pressure until it is all sorted out. Is Rio Tinto ready to buy? What needs to be considered now is why or if Rio Tinto is actually ready to assimilate all of Turquoise Hill into the company, and why they would do that. First of all, the major catalyst there would be coming to an agreement with the Mongolian government, which would immediately cause the share price of the company to jump. If that happens before Rio Tinto were to acquire all of Turquoise Hill, the company would become much more costly to acquire. Rio could be thinking of making a bid before that happens. Rio Tinto has been struggling for the last eight years, trading only a little above what it was at in January 2006. So with the probability of reaching an agreement soon with the Mongolian government, it is likely Rio will buy up the rest of Turquoise Hill in order to get all the benefits of the vast resource. The key to this all working out is making an acceptable deal with the Mongolian government, which has been unpredictable even after the original deal had been put in place. Much of that has been because of the boost in costs of bringing the mine online; specifically the next phase of development. It has become apparent the government of Mongolia is very inexperienced at deals of the size it is working on with Turquoise Hill and Rio Tinto, and that, as much as anything, has been a reason for the slow movement of the project. 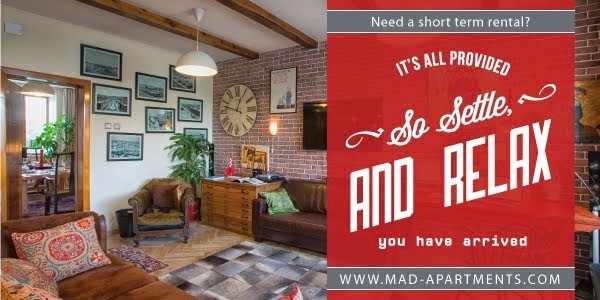 Nonetheless, that is the hand investors have been dealt, and it must be included in the mix when evaluating the overall viability of the project. One unspoken concern is whether or not Mongolia is making the new deal so difficult to accept that it may end up nationalizing Oyu Tolgoi. The problem there is it would result in businesses interested in investing in the country to back off from making deals. Mongolia has no experience in this area as well, and other nationalization efforts, such as in Venezuela and Mexico, have resulted in far less productive and valuable businesses. While it's possible Mongolia may go this route, I see it more as a last resort than something it would want to do. My major concern is the fact that Mongolia is an owner in the mine in the first place. It would have been far more beneficial if a company from Mongolia owned it and negotiated from a market standpoint. As it is, getting a deal in place is the priority going forward, and once that happens and it is visible as to the details, I see Turquoise Hill really taking off. I think that's what Rio Tinto sees, and the fact that there are rumblings of a soon-to-be-announced deal in place, makes it likely the mining giant will acquire the entirety of Turquoise Hill. Another source that has been cited by a mining website points to an advertisement from a contractor at Oyu Tolgoi for workers at the mine. This suggests the probability of an imminent deal, which again, brings into play the high possibility of the rumors of an acquisition of the remaining shares by Rio Tinto being true. According to the source, AMEC, which is an engineering and project management company at the mine, has been seeking workers for "a major underground, copper and gold mining expansion in Mongolia." Taking that into consideration, this is the reason a growing number of people are expecting a deal to be in place between Turquoise Hill and the Mongolian government before the end of March. Assuming that's what happens, is would accelerate the time table for Rio to buy up the remaining shares it doesn't own of Turquoise Hill. The major risk in taking a position in Turquoise Hill at this time is if the deal in fact never materializes. That would lock up capital in the company, as it would surely drop to below $3.50 per share if a deal isn't made. Now I don't see any risk if the position is held in the company over the long term. But if you want to put your money to work somewhere else, it would result in a short-term loss if you want to pull it out of the miner. Even so, if a deal is struck with the government of Mongolia, and Rio Tinto makes no move to acquire the remaining shares in Turquoise Hill it doesn't own, it won't take long for the market to realize the share price will start moving up because of the quality of Oyu Tolgoi, and what it will, over time, bring to Turquoise Hill shareholders. To me an investor will win either way. It's a matter of whether it will be a short-term or long-term win. When you consider the amount of copper, gold, and silver in Oyu Tolgoi, there is no way to lose outside of the nationalization of the mine. Once mine production is in full swing, the estimated 10-year average annual production at the mine is projected to be 332,000 metric tons of copper, 495,000 ounces of gold, and 2.3 million ounces of silver. Gold production may even reach as high as 750,000 ounces annually, according to some, which would make it a significant player in that market alone. For 2014, Turquoise Hill is looking to produce up to 175,000 tons of copper in concentrate, and up to 750,000 ounces in gold. Once the second phase of the project has been completed, which is going to cost about $6 billion, estimates are copper production will come in at 1.2 billion pounds annually; gold production at 650,000 ounces; and about 3 million ounces of silver to be produced annually. Measured by current prices, that would bring in over $4.5 billion a year. Keep in mind Turquoise Hill gets 66% of that at this time. This is why I see $8.00 per share as a low offer. That said, if that offer is made by Rio Tinto, it will result in a nice windfall very quickly for those that get in before it is confirmed. The response to the offer by shareholders will play a part in how high the share price of Turquoise Hill will go, but there is not doubt it will generate some serious returns. Whether or not Rio Tinto makes a bid to acquire the remaining shares in Turquoise Hill it doesn't own, if it comes up with an agreement with the government of Mongolia, I see the share price of Turquoise Hill steadily moving up going forward. With anticipation building, if Rio doesn't make the offer, it will temporarily result in the share price of Turquoise Hill dropping closer to the $3.00 per share mark. But if a deal is made with Mongolia, and Rio doesn't acquire the rest of Turquoise Hill, that will be a temporary situation; one which will quickly reverse once the market understands the project will go forward with no significant negative catalysts. The worst case scenario will be if no acquisition is made and a deal with Mongolia is not finalized. If that happens, the share price of Turquoise Hill will probably languish between $3.00 to $4.00 per share until that is worked out. With a lot of the negative catalysts already built into the low share price of Turquoise Hill, there isn't a lot of downside risk when measured against the potential short-term and long-term upward movement of the share price. It is likely the search for workers points to a deal with the Mongolian government about to be announced. If Rio is looking to capitalize on that by buying the rest of the shares of Turquoise Hill it doesn't own, shareholders and investors will make a nice profit, even if a bid of $8.00 per share is made and accepted. March 10 (MIBG) -- Over the past year Kincora Copper Ltd. (TSX.V:KCC) has demonstrated its ability to battle through tough economic and legislative conditions. While challenged by the same negative sentiment that each Mongolian junior has had to tackle Kincora has also had to face a license ban on two of their tenements. Charging forward, Kincora has taken 2014 by storm – announcing an impressive exploration update on January 6th, the appointment of Cameron McRae to Kincora's advisory board on February 27th, and announcing a C$5 million placement that is currently underway on March 7th. Kincora's flagship project is the wholly owned Bronze Fox copper-gold tenement. It is approximately 250km from the Chinese border and is within 140km of Oyu Tolgoi and Tsagaan Survarga. The project stretches across license #15000X, hosting a large mineralized footprint covering 40km2 of the total 223km2 license area. With exploration targets for the year already identified and the pending C$5 million placement underway, we feel that Kincora is laying the groundwork for a well rounded 2014 exploration season. Pending positive results, this would allow Kincora to strongly transition into 2015 which we are expecting will deliver more positive outlooks for Mongolian juniors on the whole. MIBG has not placed a target price on Kincora as the current stage of exploration is not indicative of a resource or a style of mineralization. However, we are initiating our coverage with a Speculative Buy rating due to the recent exploration and management advancements the company has made. This research can be found through the following link or through the research section of our website. March 7 (BCM NewsWire #315 from Unuudur) The Khovd Aimag Citizens' Representatives Khural on 20 February approved Mongolia Energy Corporation's (MEC) request to launch mining operations at the Khushuut coal mine project this year. The provincial council met with 6,000 residents of seven counties of the province to hear their opinions, requests and ideas for the agreement. MEC agreed to pay MNT 1 billion per year to the Khovd-Khushuut Development initiative in addition to USD 1 per ton of coal it exports from Khushuut, but an agreement was set at MNT 600 million plus USD 0.6 per tons of exported coal for the first year. MEC also agreed to put 10 million tons of coal on reserve for the province. Ulaanbaatar, March 7 (MONTSAME) At the Stock Exchange trades held Friday, a total of 17 thousand and 115 shares of 24 JSCs were traded costing MNT 16 million 584 thousand and 422.00. "Olloo" /7,000 units/, "Hermes center" /5,000 units/, "Khokh gan" /2,070 units/, "Baganuur" /521 units/ and "Moninjbar" /500 units/ were the most actively traded in terms of trading volume, in terms of trading value--"UB BUK" (MNT three million and 900 thousand), "Tav" (MNT two million and 739 thousand), "Baganuur" (MNT two million 23 thousand and 640), "Tavantolgoi" (MNT one million 100 thousand and 575) and "Olloo" (MNT 896 thousand). The total market capitalization was set at MNT one trillion 654 billion 556 million 071 thousand and 563. The Index of Top-20 JSCs was 16,577.12, decreasing by MNT 53.49 or 0.32% against the previous day. March 7 (Cover Mongolia) As of March 7, ₮487.5 billion (₮486.7 billion as of March 4) existing mortgages of 17,238 citizens (17,233 as of March 4) were refinanced at 8% out of ₮844.9 billion (₮844.8 billion as of March 4) worth requests. Also, ₮902.9 billion (₮897.8 billion as of March 4) new mortgages of 15,984 citizens (15,867 citizens as of March 4) were issued at new rates out of ₮927.7 billion (₮926.9 billion as of March 4) worth requests. Mogi: one of several promo videos commissioned by DBM to Bloomberg. March 7 (Bloomberg) -- The International Monetary Fund says in a staff report that balance-of-payment pressures compounded by "negative shocks to FDI and coal exports." * Bank of Mongolia's large monetary stimulus "distorts the market and is bound to ratchet up inflation," IMF says. Ch. Ulaan, Minister of Finance, MINISTRY OF FINANCE OF MONGOLIA, Impact of Coal Sector on Government's Budget and the Taxation Regime at the Coal Mongolia 2014, Feb 20-21. Environmental issues in Mongolian coal mining sector, D.Enkhbat Ministry of Environment and Green Development, Head of Environment and, Natural resources department at the Coal Mongolia 2014, Feb 20-21. COAL INDUSTRIAL DEVELOPMENT, TRANSPORT AND LOGISTICS ISSUES: PRESENTATION TOPIC: TRANSPORTATION OF THE MINING PRODUCT" PUREVBAATAR LUVSANDAGVA, HEAD, ASSOCIATION OF THE RAILWAY ENGINEERING OF MONGOLIA at the Coal Mongolia 2014, Feb 20-21. INVESTMENT INTO MONGOLIAN COAL MINING SECTOR AND CREATING AN ATTRACTIVE ENVIRONMENT FOR INTERNATIONAL TRADE, VICE MINISTER OF ECONOMIC DEVELOPMENT, O.CHULUUNBAT at the Coal Mongolia 2014, Feb 20-21. Government Involvement and Support to Enhance the Mongolian Competitiveness in Coal Sector, Vice Minister of Mining O. Erdenebulgan at the Coal Mongolia 2014, Feb 20-21. MONGOLIAN COAL INDUSTRY, Overcoming challenges in volatile market conditions, G.Battsengel, Director of Mongolian Mining Corporation, at the Coal Mongolia 2014, Feb 20-21. Arshad Sayed, President of Mongolia & India,Peabody Energy, Global Coal Markets and Implications for Mongolia at the Coal Mongolia 2014, Feb 20-21. Introduction of CTL Plant Project, T. Munkhtur, Baganuur Energy Corporation at the Coal Mongolia 2014, Feb 20-21. ADUUNCHULUUN POWER AND CTL PROJECT, J.Zoljargal, Project manager, MAK at the Coal Mongolia 2014, Feb 20-21. 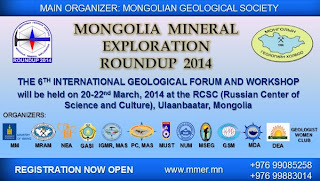 OIL SHALE OPPORTUNITIES IN MONGOLIA, Ts.Gantsog Executive Director Genie Oil Shale Mongolia, at the Coal Mongolia 2014, Feb 20-21. China Coal Market Lookout 2014, Fenwei Energy Consulting, at the Coal Mongolia 2014, Feb 20-21. Y.Batsuuri, CEO, Erdenes Tavan Tolgoi JSC, at the Coal Mongolia 2014, Feb 20-21. WIRTGEN SURFACE MINING TECHNOLOGY AND CHALLENGES IN COAL IN MONGOLIA by Wirtgen Group at the Coal Mongolia 2014, Feb 20-21. "MINING INFRASTRUCTURE INVESTMENT SUPPORT PROJECT", Project Coordinator, B. Enkhbaatar at the Coal Mongolia 2014, Feb 20-21. 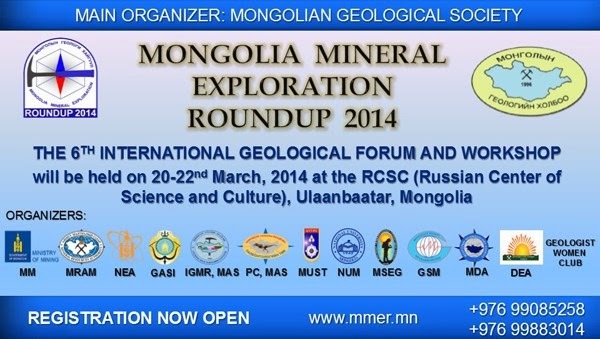 Coal processing by IMC Montan at the Coal Mongolia 2014, Feb 20-21. Riyadh, Mar 6, 2014 (Saudi Press Agency) -- The Ministry of Agriculture issued a decision banning temporarily the import of cows and sheep from the State of Mongolia because of foot and mouth disease. The decision was based on the warning bulletin from the World Organization for Animal Health indicating the presence of cases of foot and mouth disease in the State of Mongolia. Ulaanbaatar, March 7 (MONTSAME) At its meeting on Friday, the cabinet approved directives for the Foreign Minister L.Bold to be adhered to in his official visit to Australia March 16-21. The main goals of the visit are to bring the bilateral relations and cooperation into a level of expanded partnership by confirming that Australia is one of the "Third Neighbors" of Mongolia and as one of the important partners of it in the Asia-Pacific region, and to widen the cooperation in mining, education, agriculture and environment protection. - The cabinet authorized Kh.Battulga, the Minister of Industry and Agriculture to sign a trilateral agreement among the governments of Mongolia, China and the UN Food and Agriculture Organization (FAO) on realizing a cooperation programme. March 9 (Sydney Morning Herald) The wife of a Perth man among the passengers on a missing Malaysia Airlines plane has said she is still praying for a miracle to bring him home. Danica Weeks broke down in tears when she told Nine News she was still praying her husband Paul Weeks was still alive. "I can't give up hope. I would love him to walk through that door, hold him one more time... I see him everywhere in the house," she said. "We don't know ... it's just waiting to hear, and look, we just have to face that when that happens ... you know, fingers crossed." "It's so hard, so hard. I mean we are praying for a miracle but what happens I don't know." Mrs Weeks recounted his last day at home with his children and hopes he spent what may have been his last hours looking through photographs from that day. "He took lots of photos obviously because he had his Surface [tablet] which he was taking with him so we did you know video selfies of the four of us." "I hope Paulie would have been looking through it [his photos]." Mr Weeks was one of two New Zealanders named on a passenger list for Malaysia Airlines flight MH370, which disappeared off the coast of Vietnam yesterday. The other Kiwi was named as Ximin Wang, 50. The aircraft was carrying 227 passengers and 12 crew from Kuala Lumpur to Beijing. Chinese authorities said the Boeing 777-200 never made it into Chinese airspace. Mr Weeks left Christchurch for Perth in 2011 with his wife, Danica, and two young children after the earthquakes in search of a better life. The 38-year-old was en route to Mongolia for his new job with Transwest Mongolia. Weeks' older sister, Sara Weeks, of Christchurch, said: ''At the moment we're all just here hoping to find something out. I think we're hoping that it landed somewhere nicely and he's sitting having a coffee. We don't know anything other than what we have seen on the television, but I think when you put two and two together... it's not looking good." Sara Weeks said she spoke to her brother's wife in Perth about 2am today and "she is very, very upset - naturally. She is of the understanding that it's looking like the plane has crashed. She is bracing herself for the worst". Mr Weeks' mother, who followed him to Perth and "lives about two doors down on the same street'' flew to Christchurch this morning on a pre-booked flight, Sara Weeks said, to attend her 40th birthday next weekend. ''Everyone other than my grandparent moved over there. My mother, my youngest brother and my oldest daughter all flew over this morning. We're with my grandparents. We're just basically sitting here watching the news,'' she said. "We're obviously very upset. But you kind of cling to that little bit of hope when you don't know." Sara Weeks said she had not seen her brother since he moved to Perth, but they kept in regular contact on Skype. ''He had just taken on a new role. That's why he was heading to Mongolia. He was going to be based there for a month on [at a time]. It was a really good job and he was going to be paid very well,'' she said. Sara Weeks said her brother was a "lovely man", "lots of fun" and "very family-oriented". Mr Weeks spoke to the Press in 2012, saying he would have preferred to stay in New Zealand but the odds were stacked against them. ''Career-wise it is far better in Australia. There is a mining boom here. I sent out 100 job applications before moving and within a week had three job offers. It is chalk and cheese with what is happening in New Zealand,'' he was quoted as saying. Weeks told the Press he doubled his salary and said with the effect of the exchange rate, probably tripled it. He blamed recessionary pressure, high food prices and the continuing rumbling of after shocks in Christchurch for forcing his decision to leave. The Ministry of Foreign Affairs and Trade said it was in contact with their next of kin and providing consular assistance to the families. March 9 (The Hindu) On Thursday evening, when Chandrika Sharma's colleagues said goodbye to her and wished her safe travel to Mongolia, little did they realise that luck would not keep her company. Chandrika Sharma was on Malaysian Airlines flight MH370 from Malaysia to Beijing that reportedly crashed into the sea off the Vietnamese island of Phu Quoc early Saturday. Nothing is as yet known about the fate of the 239 persons on board. While her family, husband and daughter, were inconsolable and not available for comment, her colleagues recalled her passion for helping the fishing community and her fantastic work ethic. Ms. Sharma was the executive secretary of the International Collective in Support of Fish Workers, based in Chennai. An expert in fisheries sector and issues related to fishermen, Ms. Sharma, a resident of Velachery, was heading to Ulaanbaatar, Mongolia, to attend a regional conference for Asia and the Pacific hosted by Food and Agriculture Organisation of the United Nations. Her colleagues, who are busy helping out the family trace Ms. Sharma, say she was a very a warm person to work with. "She used to co-ordinate with ICSF offices across the world and help small scale fishermen. I met her last on Thursday evening when she came to my office room to say goodbye. She was to return to Chennai on March 15," said N. Venugopal, her colleague. With a Masters degree from the Tata Institute of Social Sciences (TISS), Mumbai, and M.Phil from Centre for Development Studies, Thiruvananthapuram, she worked in Centre for Science and Environment, Delhi and Aruna Roy's Social Work and Research Centre before joining ICSF as programme associate in 1995. She became the executive secretary of ICSF in 2002. Ms. Sharma had travelled from Chennai on Friday to Kuala Lumpur and boarded the Malaysian Airlines flight to Beijing to attend a consultation meeting on Saturday. Her husband is a consultant based in Chennai and their only daughter is pursuing studies English literature in Ambedkar University, Delhi are in a shock after the news broke out about the flight crash. M.J. Vijayan of National Fish Workers Forum, who has worked closely with Ms. Chandrika, expressed shock over the reports of her flight crashing. "She was a very modest, silent person, less visible… but when she is in a conference you realise that she makes a substantive contribution to the cause. She would make very specific interventions," he said. "For the past one year, she has been flying frequently due to all the negotiations going on with the FAO and ILO… in fact we used to joke about her globetrotting," he added. Jesurethinam, Convenor, Coastal Action Network, said she knew Ms. Sharma for over 10 years now and that before she became executive secretary, she was a member. "She was very sensitive to issues and played a major role in influencing policies at the FAO," she said. Fifty-one year-old Ms. Sharma was to celebrate her birthday later this month. ULAANBAATAR, March 7 (Bernama) -- Mongolia is committed to end violence against women and girls, making it the 64th country to do so under the United Nations Women's COMMIT Initiative, Mongolia's Montsame news agency reported. President of Mongolia Ts.Elbegdorj signed the initative on Friday. Leading up to the 57th UN Commission on the Status of Women (CSW57), UN Women launched the COMMIT initiative in November 2012, for governments to take a stand by making new and concrete national commitments to end violence against women and girls. By the end of 2013, more than 62 countries and the European Union had joined the initiative and announced specific measures to address and prevent violence against women and girls. These ranged from passing or improving laws, ratifying international conventions, launching public awareness campaigns, providing safe houses or free hotline services and free legal aid to survivors, supporting education programmes that address gender stereotypes and violence, as well as increasing the number of women in law enforcement, peacekeeping forces and frontline services. March 7 (infomongolia.com) On March 05, 2014, President of Mongolia Ts.Elbegdorj issued a Decree to promote winter sports. The Decree was signed by President and Prime Minister and reflected the directions to support and develop winter sports in Mongolia. In the scope of the Decree, President of Mongolia gives directions to the Government to develop winter sports, create conducive training environment and take appropriate measures to introduce and promote winter sports in Mongolia. The Decree aims at letting young people to go in for sports, pursue a healthy lifestyle and establish favorable conditions and environment to enable effective training of Mongolian athletes for Olympic Games, World competitions and tournaments. 1. To construct indoor and outdoor sports facilities which meet modern standards and requirements in Ulaanbaatar and in local areas in order to promote winter sports and solve its financing problems by state and private sector partnership. 2. To reflect winter sports in the education programs of the elementary schools and universities, create conducive training environment for students and train Mongolian sport instructors, trainers and coaches. 3. To take coherent measures to increase types and varieties of winter sports that Mongolian athletes and National team participate. 4. To organize sports competitions and events based on winter sports compounds and support Mongolian athletes to undergo joint-training with foreign athletes. The Prime Minster N.Altankhuyag undertakes to approve the implementation plan and inform the President and the public regarding the implementation process. President Ts.Elbegdorj calls the non-government organizations, athletes, trainers and business organization for contributing to the promotion of winter sports in Mongolia, making donations, constructing winter sports facilities and adopting new technologies. March 9 (UB Post) A retired professional footballer who served as striker for Chelsea FC and England national team, Kerry Dixon will arrive in Ulaanbaatar today for a two day event to meet Mongolian Chelsea supporters. Chelsea FC Supporters Club Mongolia invited Kerry Dixon, who is Chelsea's third all-time leading goal scorer, to mark the 109th anniversary of Chelsea on March 10. Kerry Dixon will meet officials of Mongolian football clubs to expand cooperation. He will also hold a meeting with young footballers in Mongolia and share his experiences. Furthermore, Evento LLC is jointly organizing the Evening with Kerry Dixon at VLVT Club on Monday, from 8:15 to 9:30 p.m. Several performances and activities are planned for the event. Mongolian pop, rock and alternative music singers and bands will perform at the event. Kerry Dixon will present Chelsea merchandise to all the supporters at the event, and will also name a winner for a ticket to watch Chelsea FC play at Stamford Bridge, Chelsea's home stadium. Edutainment TV will cover the event for a 20-minute documentary of Kelly Dixon in Mongolia which will be broadcasted on Chelsea TV. Female supporters who are wearing Chelsea football shirts will be exempt from admission fee of 40,000 MNT for the event, the organizers noted. Ulan Bator, Mongolia, Mar 8, 2014 (Catholic News Agency) A new catechesis program of the Church in Mongolia is promoting holistic formation of the human person as part of the evangelization of the central Asian nation. "The course … is meant to form catechists with a working knowledge of the Scriptures, as well as the Church and its mission," Fr. Giorgio Marengo of the Consolata Missionaries, told CNA March 5. The Prefecture Apostolic of Ulaanbaatar, which serves the entire country, has recently established a two-year long course in catechetical formation, giving a fundamental formation in theology and the life of the Church. The formation program began in September; Fr. Marengo said it began with Christ's life and the significance of the Paschal mystery, and is currently discussing the sacraments. More than 30 future catechesists, most of whom are in their 20s, are participating in the monthly program of formation, and they will become certified catechists in the prefecture once they have completed their formation. Catechists play an important role in the evangelical mission of the Church, particularly in mission areas such as those served by prefectures. Nearly 40 percent of Mongolians are non-religious; a little over half the population is Buddhist; and Christianity, Islam, and shamanism have mere footholds among the people. The nation of 2.9 million has some 1,200 Catholics, 870 of whom are native Mongolians. Mongolia's prefecture apostolic had five diocesan priests in 2010; it is also served by 12 religious congregations and fidei donum priests – those of other dioceses who are on loan to the prefecture; in total, there are more than 50 missionaries serving in the country. Among the religious congregations is Fr. Marengo's Consolata Missionaries. They have been in Mongolia for 10 years, serving in the capital Ulan Bator and in Arvaikheeer, on the edge of the Gobi desert. The first modern mission to Mongolia was in 1922 and was entrusted to the Congregation of the Immaculate Heart of Mary. But under a communist government, religious expression was soon thereafter suppressed, until 1992. In 2002, the Ulaanbaatar mission was elevated to the present prefecture apostolic. The mission's superior, Fr. Wenceslao Padilla, a priest of the Immaculate Heart congregation, was appointed prefect, and was consecrated a bishop the following year.